First the U.S. says it won’t launch air strikes on Sunni extremists in the north of Iraq, until the government of Prime Minister Maliki is more ‘inclusive’ of the country’s minorities. Then long U.S. delays in delivering F-16 fighters have hampered Iraqi efforts to launch air strikes against the militants, giving them more time to consolidate their gains. Considering the tardiness of the U.S. response so far and grudging way what limited aid has been offered you would almost think the U.S. actually wanted Iraq to fragment. Contrary to what the corporate media is saying that may indeed be the case. 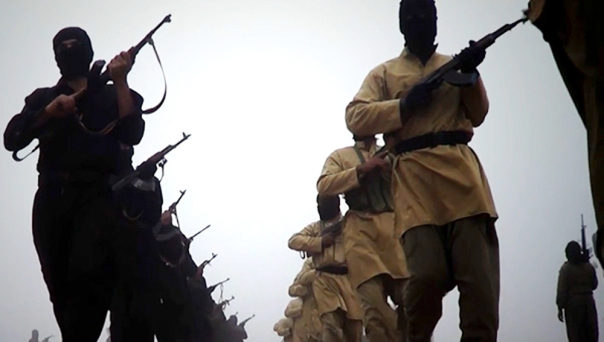 Given reports that the U.S. and its gulf allies have actually trained and assisted the militants. Plus the fact that they pointedly ignored warnings from Kurdistan’s intelligence agency that Sunni militants were planning to launch a campaign in northern Iraq five months before. This in turn has forced Iraq to turn to Russia for help. Iraq has confirmed that Syrian forces have bombed some of the bases of ISIS militants and also stressed that such moves would be welcome. Iraq is also understood to have decided that it would turn towards Russia for getting warplanes – an action that could ruffle American feathers. Iraqi Prime Minister Nouri al Maliki told the BBC that Syrian fighter jets bombed militant positions around the border town of Qaim on Thursday, giving the first official confirmation of the incident hours after it was first reported. The Iraqi leader added that his government welcomed such strikes against the jihadist group, which is threatening to overrun Baghdad, after having swiftly swallowed a major chunk of northern Iraq – including the second largest city Mosul – over the last three or four weeks. Maliki also told the news channel that as the US has been delaying the sale of F16 jets, Iraq is turning towards Russia in order to buy the warplanes. This comes even after a troop of American special forces arrived in Baghdad which Barack Obama sent to assist and help the falling armies of the al-Maliki Shia government, in their fight against the Sunni-led insurgents who remain resolute in building a caliphate state in the area. Meanwhile, reports have emerged that a unit of al-Qaeda’s Syrian branch, the Nusra Front, has pledged its allegiance to ISIS in the Syrian town of Albu Kamal, located near the Iraqi border. This could raise a few eyebrows as the Nusra Front, until recently, had been fighting in Syria against ISIS, which it sees too brutal and extreme. Obama said last Friday that he was ready to use airstrikes in what he called “targeted and precise military action” against the rising ISIS militants, adding that he was sending elite US special operations force of around 300 members to Baghdad, in order to help the Iraqi forces who have almost been crushed by the insurgents. Washington has been subtly hinting that the ongoing crisis was partly due to Iraq’s Shiite Prime Minister Maliki’s failure to quell the advancing insurgents, although the US has refused to be blatant on this subject.